Church Hill supports its local business community through this web site. This site will provide those interested in coming to Church Hill for the day or possibly moving to Church Hill, as well as local residents, with information about local businesses. 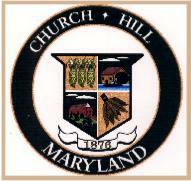 If you are interested in having your local Church Hill business on the Town of Church Hill web site, please call the town office at 410-758-3740 and request that your business be added to this site.